Focusing on the challenges faced by the US military in responding to "operations other than war" in the post-Cold War era, Rudolph Barnes makes a plea for the US government to address the "organizational bias for combat" and "narrow traditionalist view of military professionalism" within the Pentagon, which, he argues, are serious obstacles to developing an effective capabiilty for operations other than war. He draws on examples from Vietnam to the mismanagement of US military involvement in Somalia. 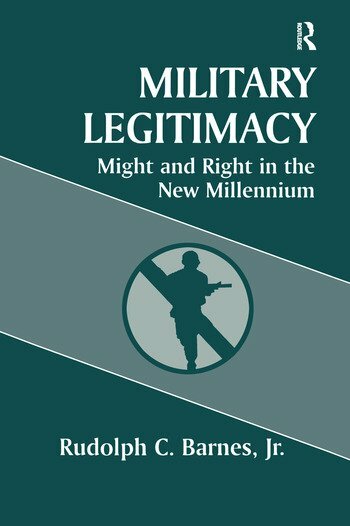 Contemporary Security Policy, Chris Madsen, University of Calgary- " The book reduces a complex and highly legalistic subject in a concise and simple manner." Special Warfare- "...a definitive statement about the military"s role in the growing field of operations other than war and about the military"s relation to the accomplishment of U.S. foreign-policy objectives. For those who have served in Haiti, in Bosnia, or in any other of CA"s worldwide missions, Barnes" arguments will ring true. Barnes give readers solid reasoning and a good understanding of the facts." International Affairs- "This book focuses on the challenges faced by the US military in responding to "operations other than war" in the post-Cold War era. With his considerable past experience in civil affairs work in Asia, Grenada, Honduras and Moldova, it is not surprising that Barnes makes a strong plea for the US Government to address the "organisational bias for combat" and "narrow traditionalist view of military professionalism" within the Pentagon which, he argues, are serious obstacles to developing an effective capability for operations other than war. His argument is reinforced by examples from the Vietnam war through to the recent disastrous mismanagement of US military involvement in Somalia...it is a valuable contribution to the debate within the United States on future peace time roles for the armed forces." Small Wars and Insurgencies - " The book...comes to grips with a number of important issues in defining strategy, the use of military force, and in rules of engagement in operations other than war. It is recommended for military professionals and civilian decision makers"